This topic contains 5 replies, has 4 voices, and was last updated by Ross Stewart 2 months, 1 week ago. It’s about 12-13 years since I was last on here and I’ve changed email address and forgotten my log in details so I’ve had to re-register and it has changed! Anyway Hello to all, I can’t remember the names of the people I knew before so if they are still here and recognise my name apologies for not remembering yours. I used to own 2 GTR 33’s both long gone now, was running a Merc. CL55 AMG Kompressor, not the same thing at all but nice to have a 5.5 V8 but just sold that. Currently running around in a Rover Metro 1.0 litre which I did actually find in a barn. I don’t like it but it doesn’t owe me anything and it’ll do for now. Thats me, maybe someone could answer a question – do I have to be a paid up member to access the for sale section? Barry, welcome back & indeed much has changed since all those years ago! Far too much to type on here anyway, so hopefully see you at an event for a catchup. The for sale section is now all Facebook based, I did see you apply for the Facebook Group which you were accepted on, but as much of the every day stuff is all social media now this is more a club house / point of information destination if that makes sense! What was your forum name before hand as we could get this added to your new account? This reply was modified 3 months ago by SPEED MERCHANT. 12 years ago.. welcome back! Any photos of you and or gtr at any events? I was around. in a bayside r34gtr back then. Welcome back. 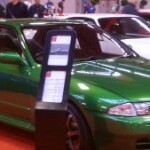 I remember from those days when I was in my R32 which I still have after 18 years after a rebuild and a colour change to British Racing Green. Come to some events and renew the acquaintance!